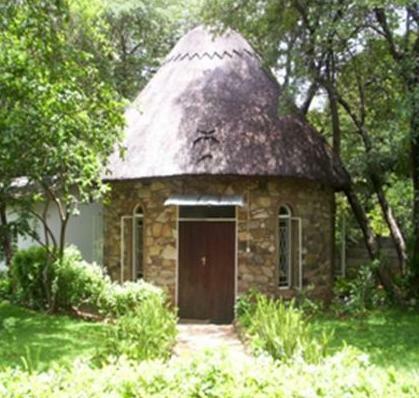 Since 1983 the FMDM Zimbabwe region has been the privileged and proud home to the FMDM Novitiate for Africa situated in the beautiful town of Victoria Falls. 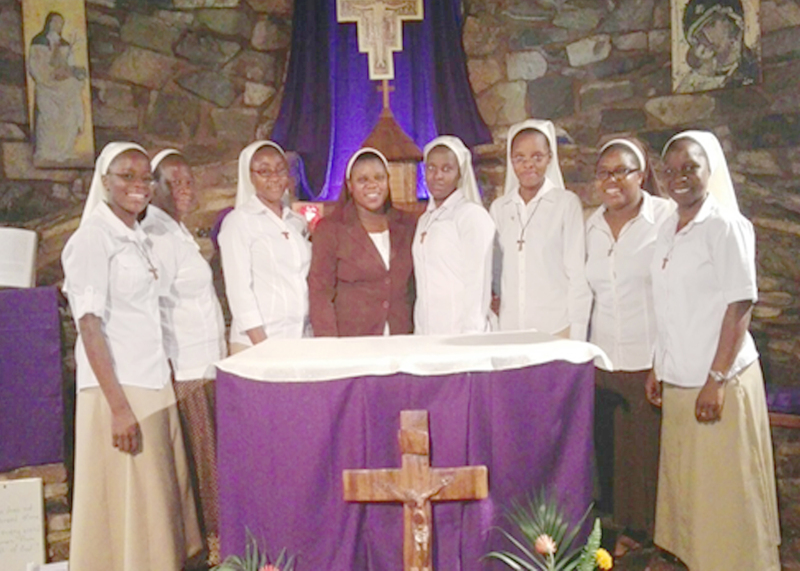 Postulants from Nigeria, Zambia and Zimbabwe come to Zimbabwe for their two years novitiate – a time of deepening relationship with Jesus Christ for a passionate and joyful living of the Gospel as FMDMs. 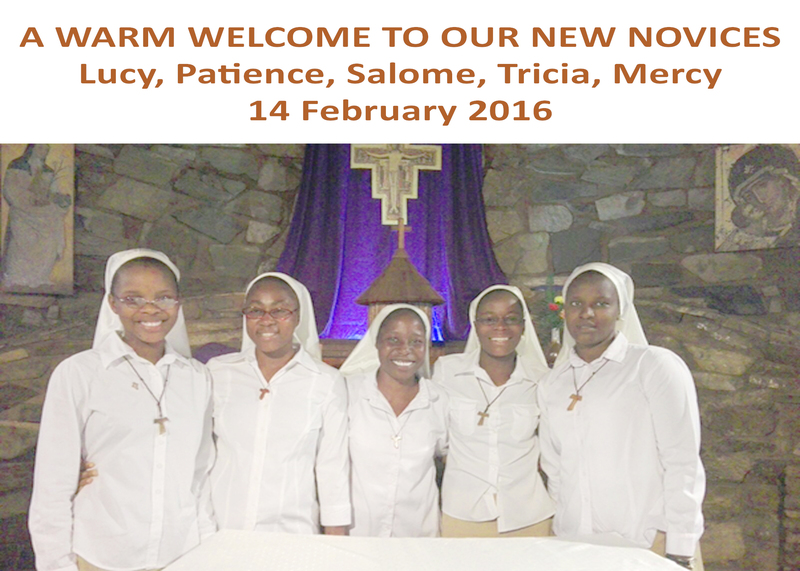 The novitiate is also an opportunity for the novice to continue in a more intense way to discern her vocation to the FMDM way of life. The congregation through the formation community creates to this end, a desert environment of quiet and solitude. The town of Victoria Falls too lends itself well to contemplation and closeness with nature as it is home to the mighty Victoria Falls – one of the wonders of the world. 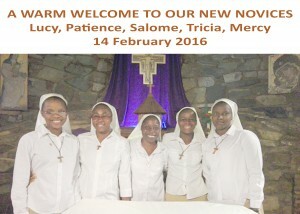 On 14th February 2016, as the world celebrated Valentine’s day the community at Victoria Falls received into the Novitiate, five young women from Nigeria, Zambia and Zimbabwe. 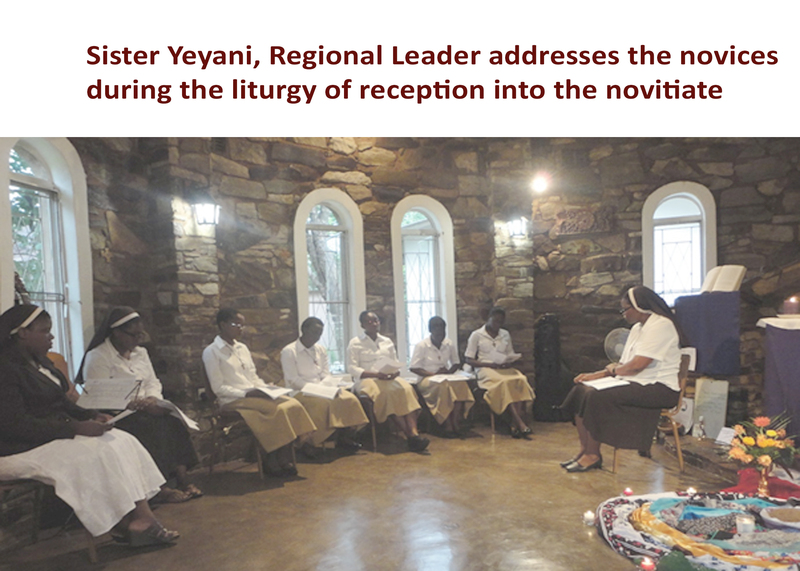 The simple, powerful and beautiful reception ceremony was held at Evening Prayer and was attended by Sr Yeyani – Regional Leader for Zimbabwe – who officially welcomed the five postulants into the congregation and received them as novices. 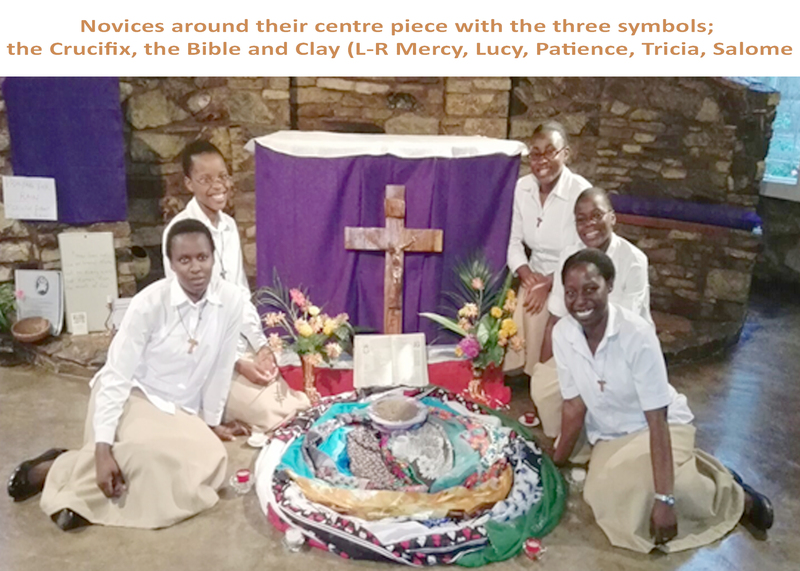 Srs Teclar and Constance from our nearby Hwange community also came to support the new novices as they took this important step in the vocation discernment journey. 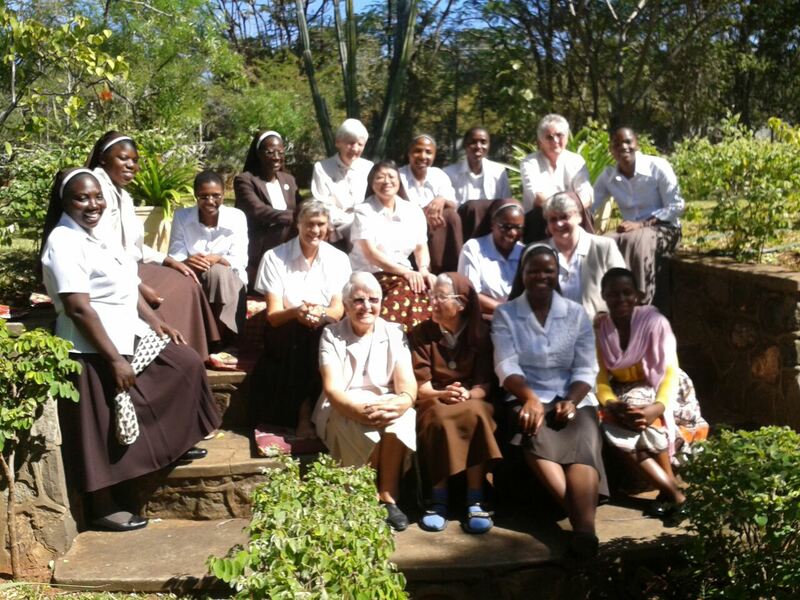 At present the Novitiate Formation community is made up of three sisters: Sr Martha Musonda, the Novice Directress, assisted by Sr Elvine Msimuko and Sr Concilia Chemhere. Our role is to accompany the novices along a wholistic journey of maturing spiritually, emotionally and intellectually and into a deeper understanding of our Franciscan vocation to conversion, contemplation, minority and poverty under the inspiration of Mary Mother of God and our seraphic father St Francis of Assisi. 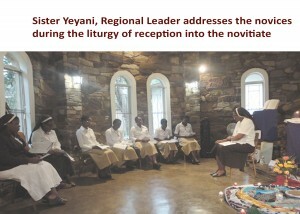 FMDM sisters travelled to Bulawayo in 1952 at the invitation of the Bishop. They established Mater Dei hospital and branched out to Hwange colliery hospital and other mission fields. Today there are 4 communities situated in the North West of Zimbabwe where the predominant language is Ndebele. This area, even in more normal circumstances than Zimbabwe is experiencing today, lacks resources due in part to the hot dry climate and poor soil. People have to work very hard to make a living from their land. As Franciscans we feel that we are privileged to be in these places working with the local people, who show such resilience in very difficult circumstances. Fatima Mission where our ministry involves teaching in the local government school, evangelisation and pastoral ministry. Bulawayo is where our Regional leader resides. The convent is very close to Mater Dei Hospital, the sisters continue to be supportive of the Hospital especially through membership on various boards. Some sisters are staff members at the Hospital. 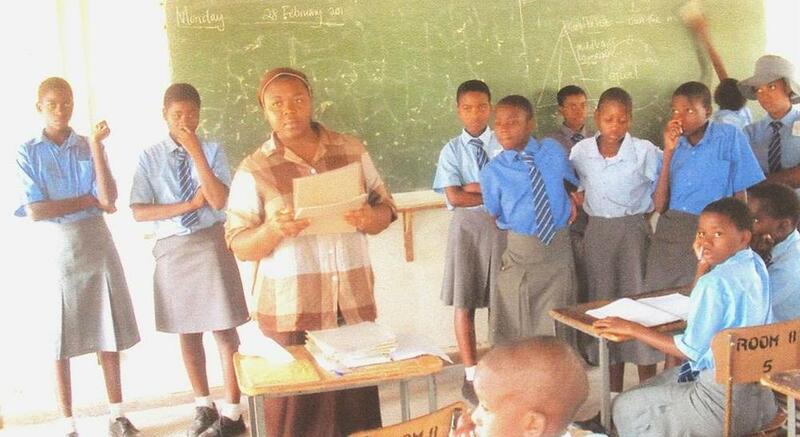 One of the sisters is Principal of Christ the King pre-school. Victoria Falls where we have our African novitiate for young women joining us from Zambia, Nigeria and Zimbabwe. 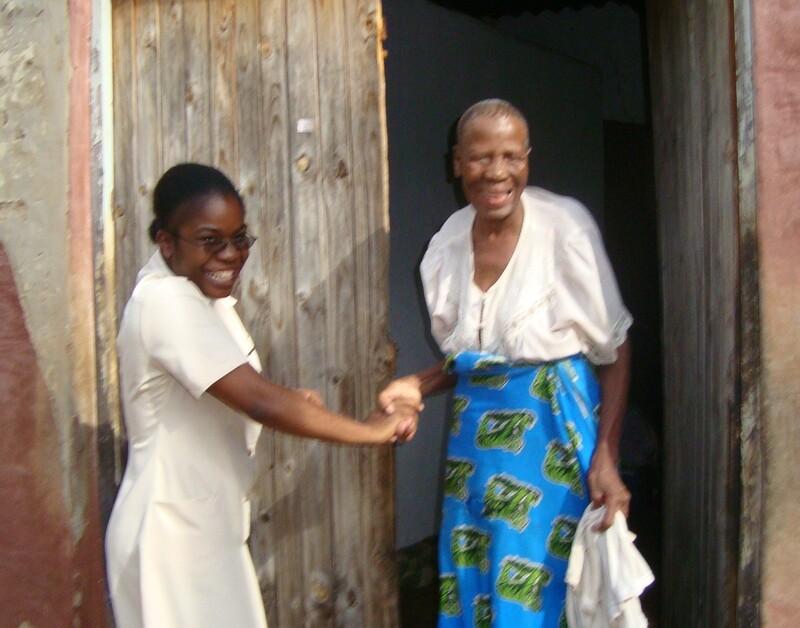 Once a week the novices lend a hand, caring for the people in the home for elderly destitute and also in the local government hospital. 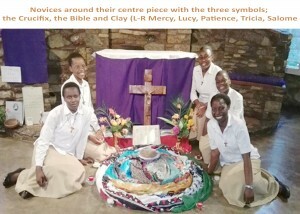 The sisters are involved in pastoral ministry in our local parish church. The main ministry in this community is formation; accompanying women who are interested in our way of life.